Known for silhouettes that look flattering and flawless from every angle, Elena Perseil's dresses are regularly worn by some of the world's most photographed women. 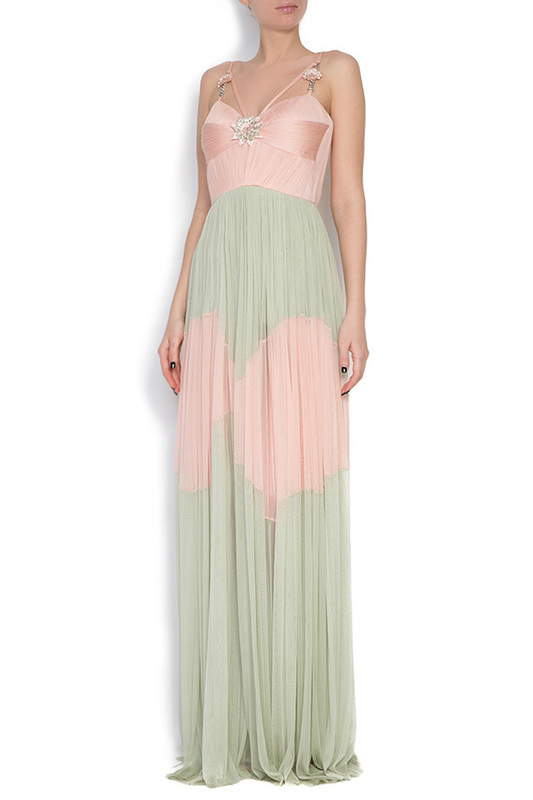 Made from layers of silk tulle, this pink dress flows down the sweeping skirt. 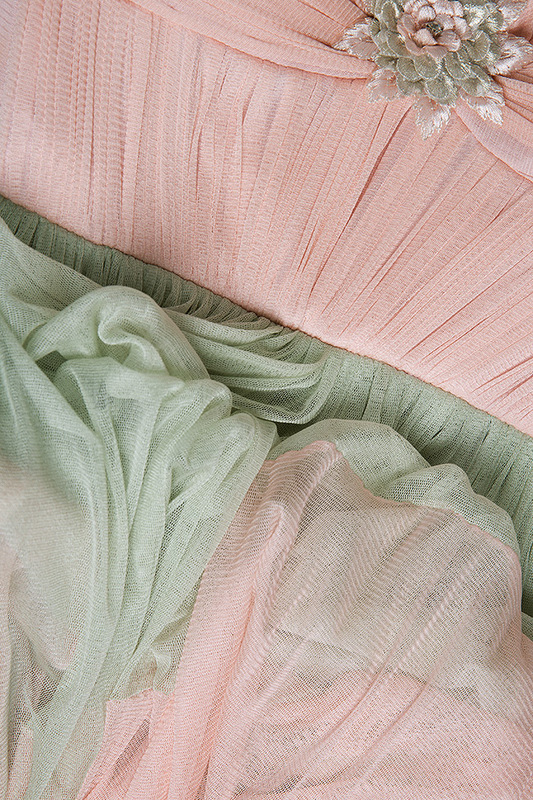 Its bodice is paneled with blush pink silk satin, revealing a hint of skin at the back.